Flawed aircraft have existed before in the history of aviation. There were actually more flawed types than successful ones, arguably starting with the first three plane models. 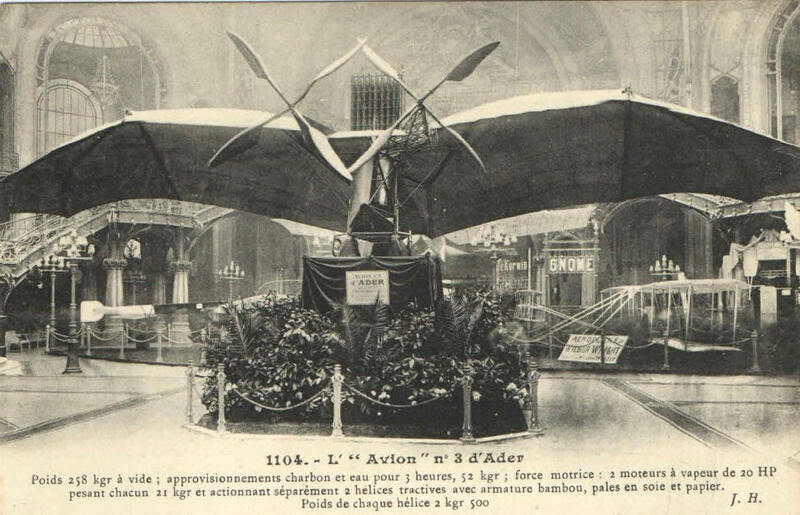 They were made by Ader, a French engineer who, helped by military contracts, built the very first planes, coal powered planes inspired by bats (first flight, 1890 CE, 13 years before the Wright brothers…) However, the main problem of Ader was that the internal combustion engine was not mature enough yet, and his coal engines were too heavy. Plus his planes had to carry coal and water… That could be fixed, and was fixed. Boeing, airlines and aviation authorities don’t have these excuses with the 737 MAX. With the 737 MAX, as with Brexit, that offending idiocy, now on its way to hell, as deserved, the cause is the same: the financialization of the world, its greedsterization, not to say gangsterization. Never before has a so obviously flawed plane type been ordered in such immense numbers (more than 5,000). This absurdity, an exit from reason, illustrates the world’s corruption. This is a world failure. A flying Titanic, loved by all, until it pogos around. So why is the 737 MAX so flawed? Engine location. The engines are too powerful and too forward of the 737 Max’s wing. What is stalling? Basically, when the plane threatens to stall, it’s because the angle of the plane in the air flow is too great, the nose is too much up. Stalling first increases lift, while, and because, it kills speed forward. After the speed goes down, the only way to stay up, is to augment the angle, killing more speed… hence the name: stalling. When speed forward dies too much, no up nose angle will provide lift, and the plane falls like a stone. The way to prevent stalling is to increase forward speed. For that the engines are asked to produce more power. This was the general recommendation of the aviation authorities, worldwide. However, this can be a problem in two engine planes: their engines are located forward of the centers of mass and lift of the plane, and do not line up with those; instead, when they are all fired up, they exert a torque. That contributed to the crash of an Air France A330 in a terrible storm in the “pot au noir”. The “pot au noir”, well-known to French aviation pioneers carrying mail to South America (like Saint Exupery, of Petit Prince fame), is the black stormy intertropical convergence zone halfway between Brazil and Africa, famous for his giant thunderstorms; the Air France plane flew into an enormous storm hiding an even larger one behind; the sensitive sensors freezed, and the plane went crazy; the pilots, bereft of any vision in the black and stormy night applied power as prescribed, and the plane stalled, unbeknownst to them. The accident surprised the aviation authorities, but shouldn’t have: there had been similar close calls before, but they had happened when pilots could see outside, and orient themselves (since then simpler orientation systems have been added). A Norwegian 737 Max. 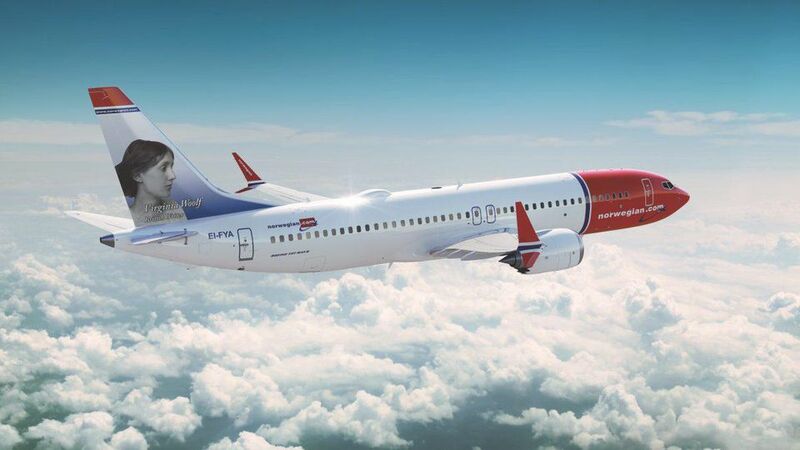 Norwegian, an excellent company, has 18 (eighteen) 737 Max. And another 100 on order. Norwegian is asking those Boeing financial Chicago types to foot the bill. The picture shows clearly the engines are way too far in front. Why did Boeing, one of a handful of top aerospace companies make such a mistake? Well, Boeing was born and thrived in Seattle. In recent years, though, it moved its headquarters to Chicago, to be closer to the source of all powers in this age of doom and gloom, finance. Uncontrolled finance is the deepest source of evil (yes, it financed Hitler, Stalin, as I have explained in other essays). It’s also the greatest source of leverage. One can imagine Boeing executives exchanging stupid American style jokes with financial types suggesting Boeing may as well make an unstable plane subject to stalling while in peril, and correct that with software: software at this point is what makes financial overlords ever more wealthy (and they distribute crumbs to politicians, or even to media plutocrats, who then try to Brexit us…). A few years back, Airbus observed that jet engines had vastly improved, getting 25% more mileage, or so. Thus it was irresistible to make a plane with such engines. Airbus workhorse is the A320, the first fly by wire plane (after the Franco-British Concorde, and then the Space Shuttle). The A320 program cost 3 billion dollars by 1984, the first customer was Air France, by February 2019, 8674 A320s had been built. Airbus is now fabricating sixty-three (63) A320, per week: nine planes every single day are churned out of Toulouse… (It’s roughly the only thing working really well in France…). The new A320 was appropriately called the “Neo”. When Boeing saw the A320 Neo coming, it was petrified… Boeing couldn’t just slap new engines on the 737, as Airbus did with the A320 Neo. You see the new engines are more efficient because of a higher “bypass”, a huge hidden turbine which acts like a hidden propeller grabbing air and pushing it like a giant fan. That’s all around the jet engine itself, and makes the entire engine much bigger. The problem was that the 737 is short-legged. The A320 is long-legged, so it could accommodate the much bigger, higher bypass engines. But not so for the 737, which crawls on its belly like a snake. Why couldn’t Boeing have slapped longer legs on the 737? Because it would have had to modify the fuselage, and the wing roots, big time. In other words, it would have had to make a brand new plane. A brand new plane cost more than ten billion dollars, and take years to come around. Plus, Boeing, Airbus style, was advertizing that the most modest of training, with a tablet and a bit of paper, was enough to transition a pilot from the 737 to the 737 Max. That was a complete lie, as the aerodynamics of the types are completely different. There was a famous example of a flawed plane: the British Comet. The first commercial jet. Four of them exploded (my mom flew on them between the explosions). The cause was discovered by making metal fatigue tests on the ground. The high altitude was causing the aluminium fuselage to expand and contract, until it unzipped itself. That could, and was corrected. No Comet exploded afterwards, and all other jets profit from the Comet’s unfortunate pioneering. This is a small example of how the financialization of the world, making everything into profit and soft talking, software, leads to unmitigated disaster. I don’t think the 737 Max can be saved. Sure, it can fly. But, in the same exact dire circumstances as a A320 Neo, it will crash when the European plane will not. 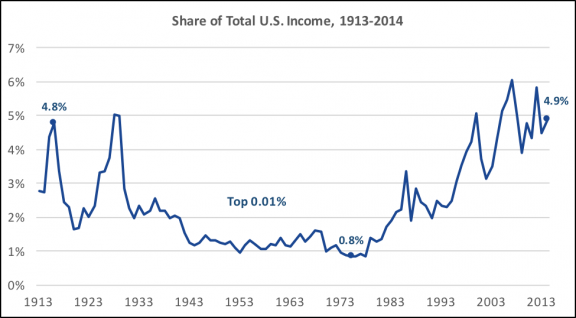 Financialization of the world is a strange madness, an aspect and tool of plutocratization, an even greater insanity. It started with Reagan, big time, was amplified by Clinton, and that boy, Obama, couldn’t express his admiration for Reagan enough. Now in France, an idiotic, pseudo socialist government (truly from Rothschild, as US president Andrew Jackson would enjoy to point out) want to sell the airports to private entities… Because anything private is superior, they say. Andrew Jackson knew better, and was very explicit about it.